shared between the Dial Types, MI and other versions. 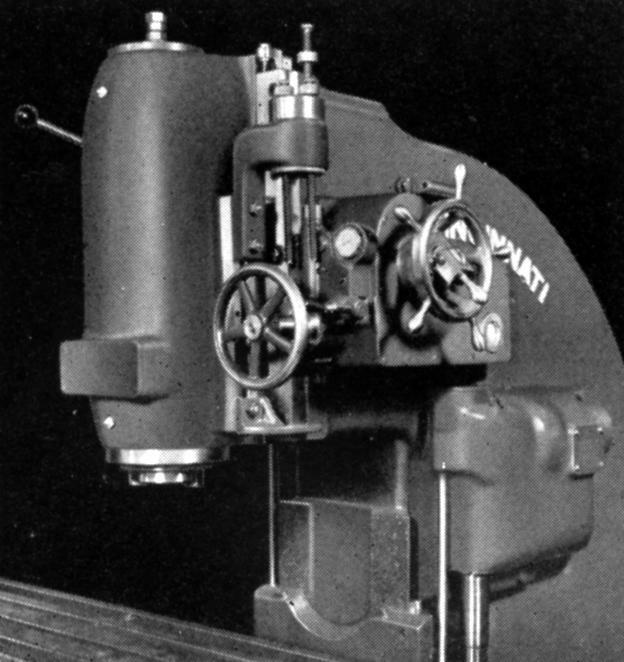 High-Speed Vertical Attachment - no quill feed and for use on light work such as mould and die machining. 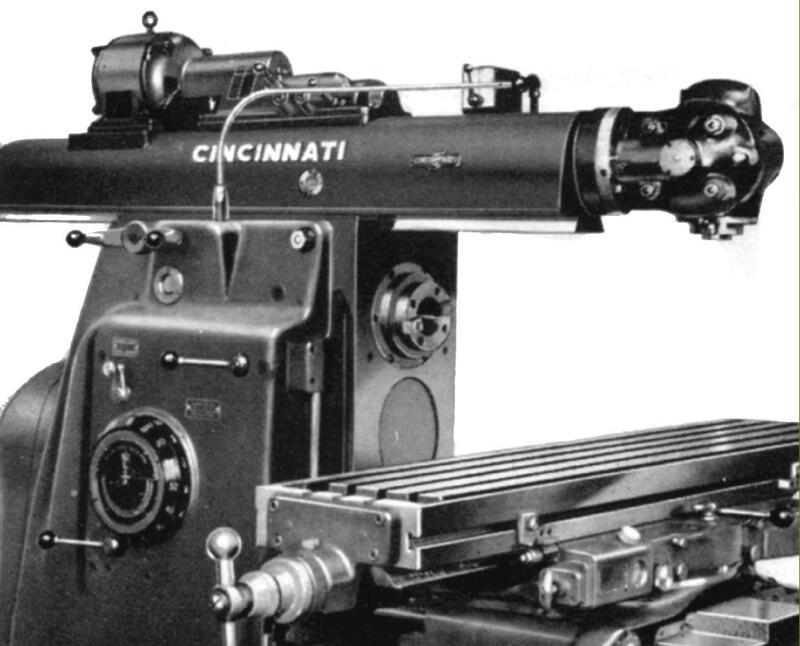 On Medium Speed models it ran at 31/3 times the indicated spindle speed and on High Speed models at 12/3 times. 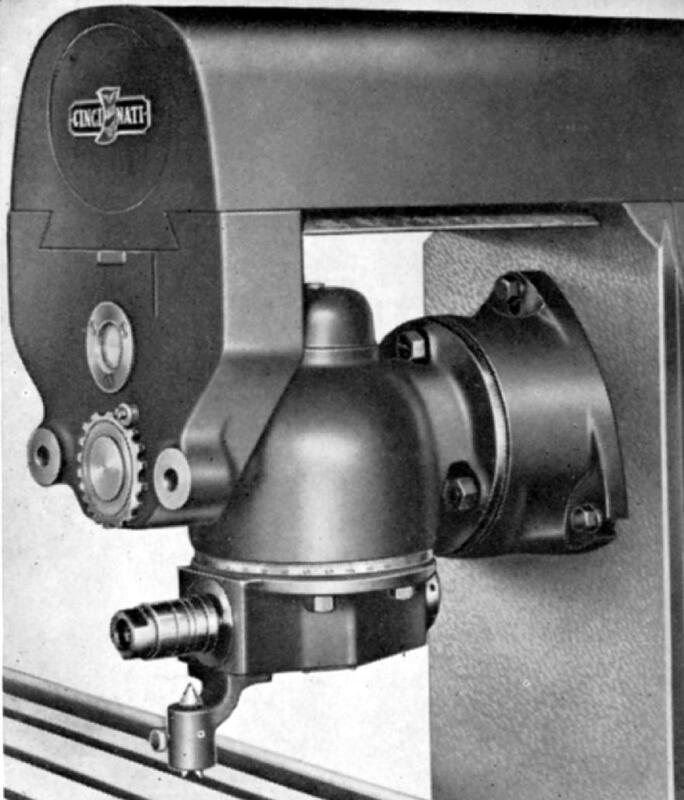 Swivelling High-Speed Universal Milling Attachment - available with or without a quill feed and as made during the 1930s. 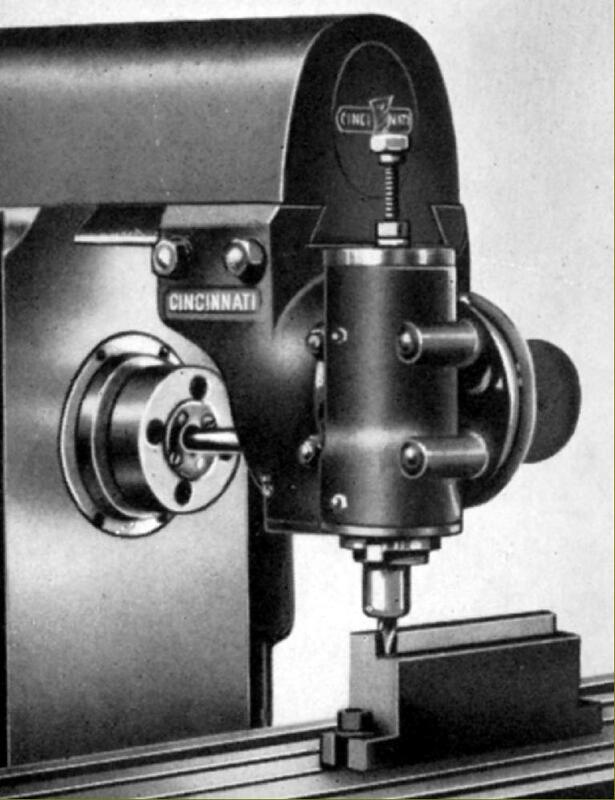 This was a lighter head, unsuitable for face milling, but able, on Medium Speed models to run at 31/3 times the indicated spindle speed and on High Speed models at 12/3 times. It could be swivelled though 360° parallel to the face of the column and though 90° at a right-angle to the face. The standard taper was a No. 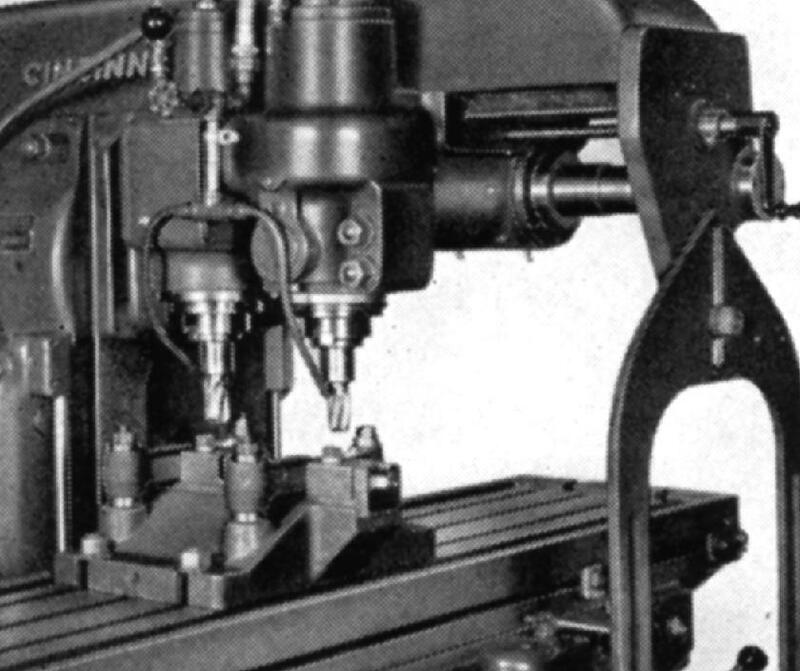 7 B & S.
Semi-High Speed Vertical Milling Attachment type. 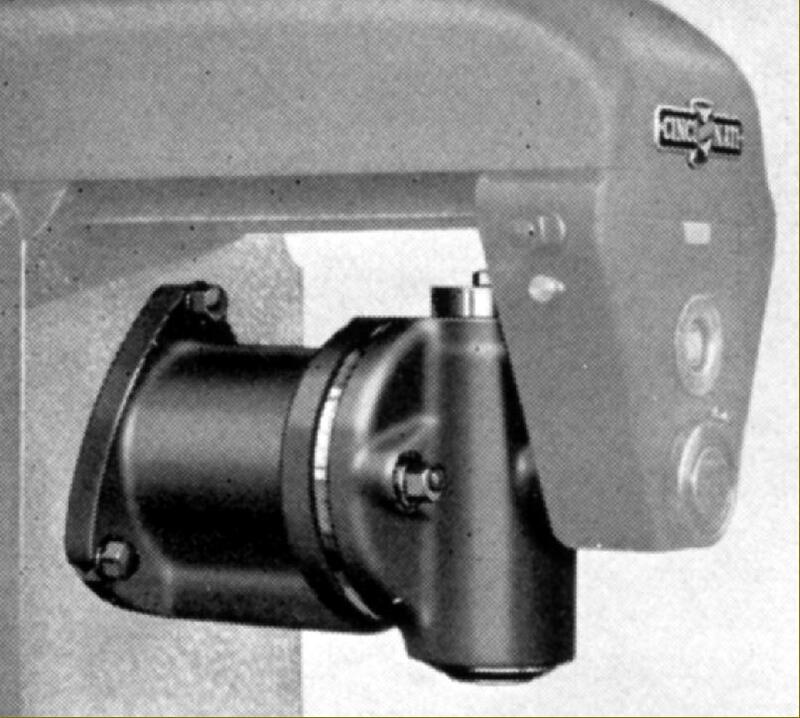 Able to be swivelled through 360° this accessory ran at twice the indicated spindle speed on Medium Speed models and at 1.5 times on High Speed versions. The unit was not available after WW2. Universal Spiral Milling Attachment. 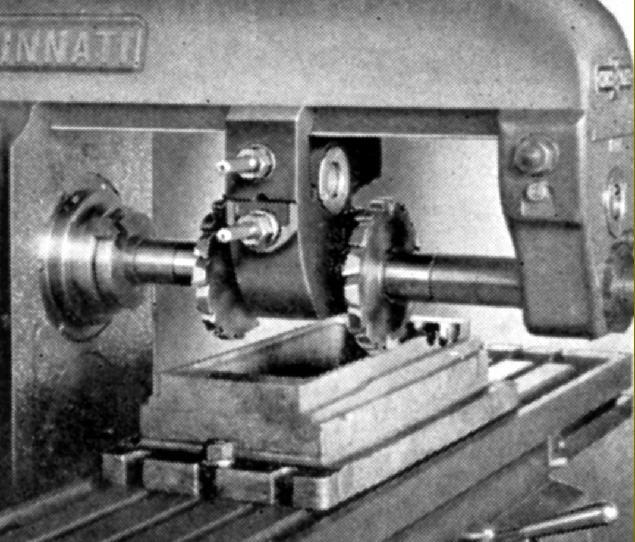 Used for milling helical gears - on a plain machine by swivelling the cutter and on a Universal machine (with a swing table) by swivelling the cutter if the table needed turning through more than 45°. Keyway Milling Attachment. 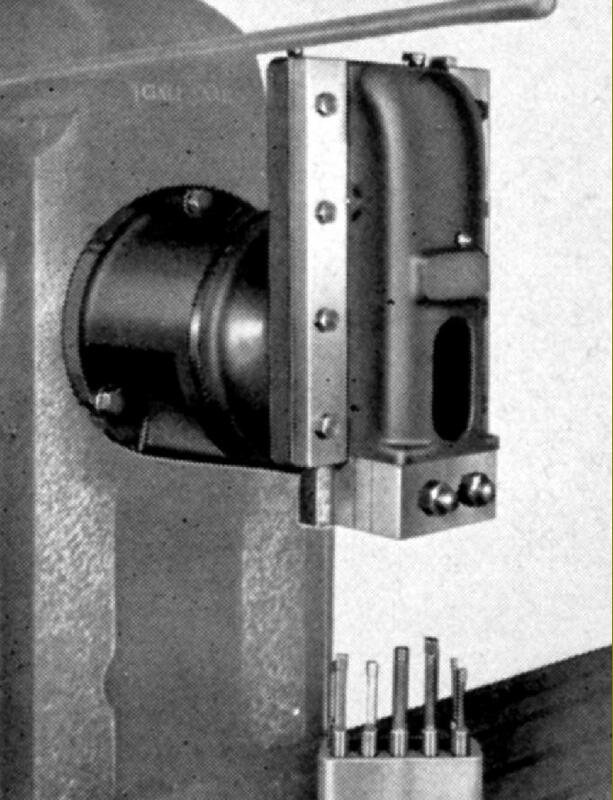 Intended for the rounding out of keyways the unit was mounted on the face of the column and supported by the overarm. 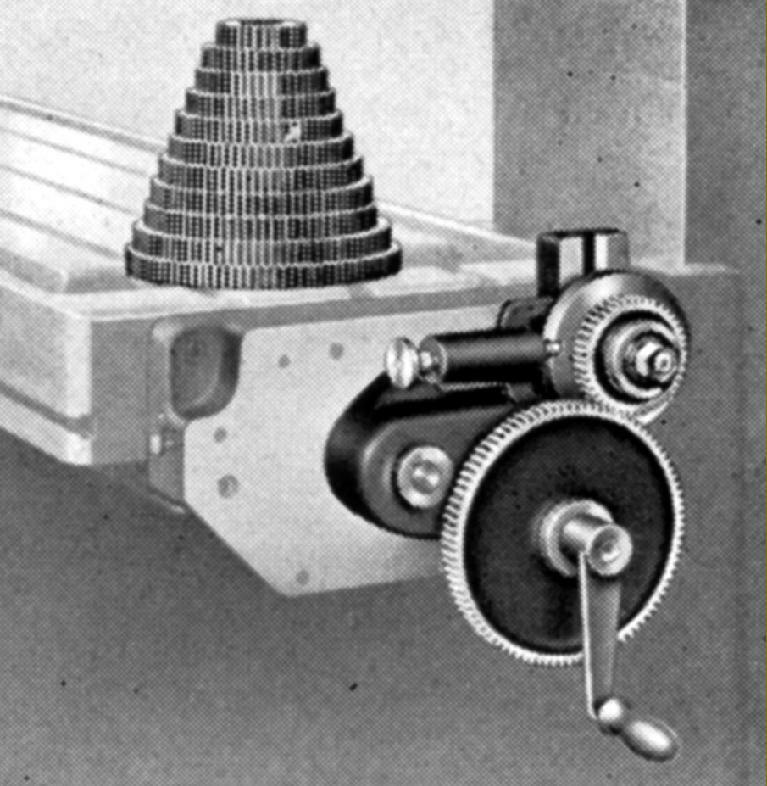 A fine quill feed through worm-and-wheel gearing was provided along with adjustable stops. 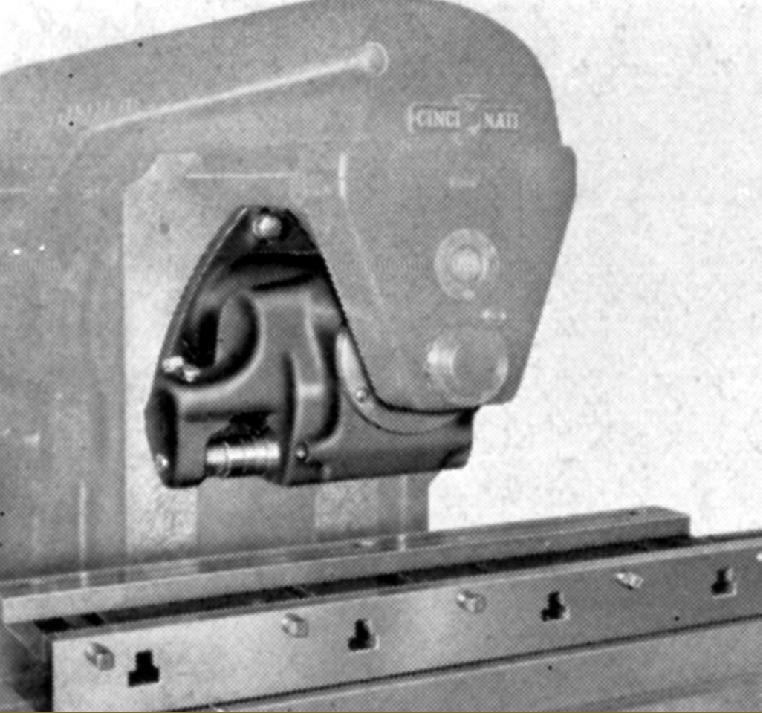 Motor Driven Universal Attachment as offered during the 1940s A long favourite, and made for several decades in various forms, this unit transformed the horizontal models into a form of ram-head vertical miller. The unit could be left in place to act as a standard overarm. 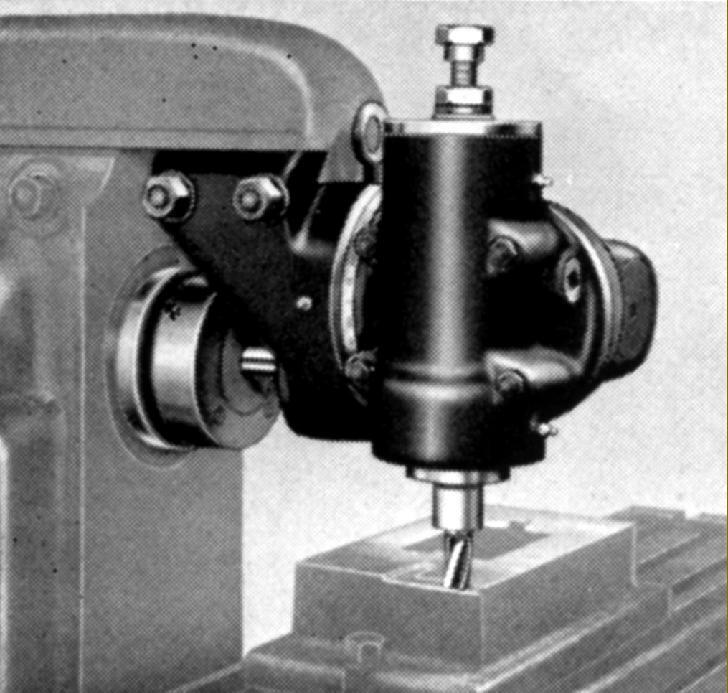 Special two-Spindle milling Attachment. This may not have been a regular production item but available to special order only - its original use being for the milling of aero-engine parts. 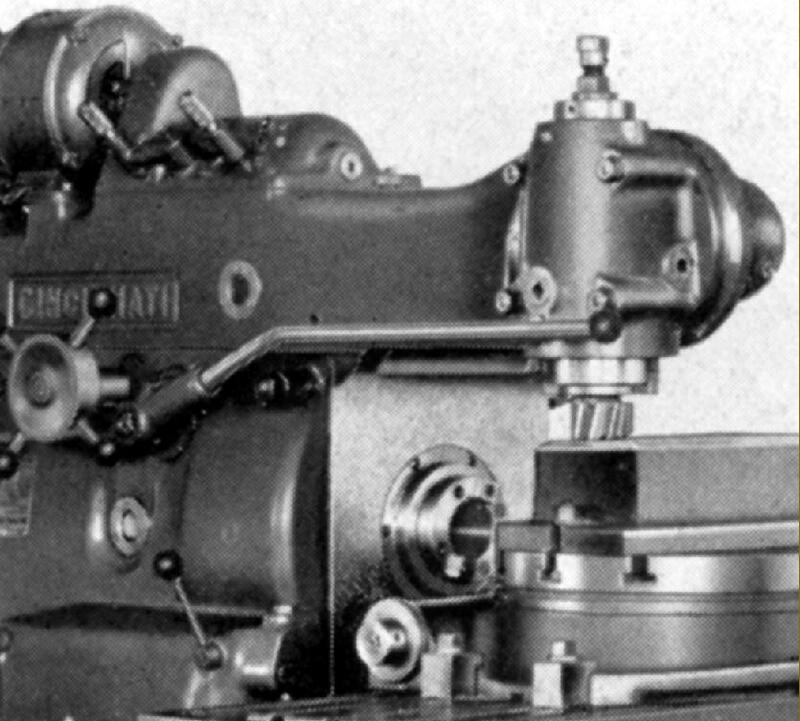 The outer spindle had both horizontal and vertical adjustment for lining up with the inner spindle. 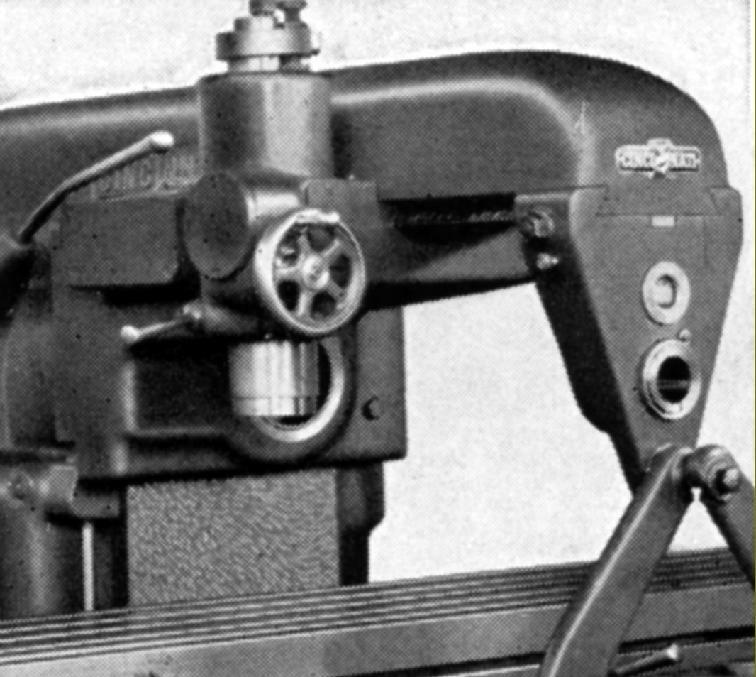 No quill feed was fitted and the depth of cut relied upon elevating the knee. Rack Milling Attachment. Able to mount cutters for the generation of racks and also for narrow slotting or side and face work. 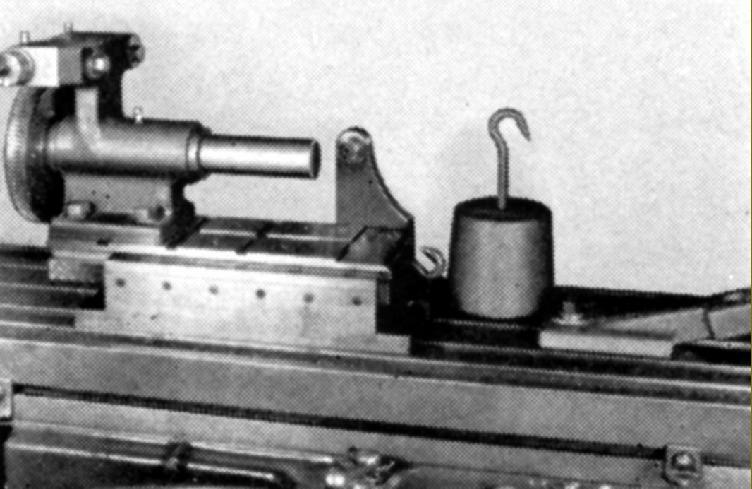 Whilst a special very long vice - shown above - was included with the unit it also required the indexing unit shown below. 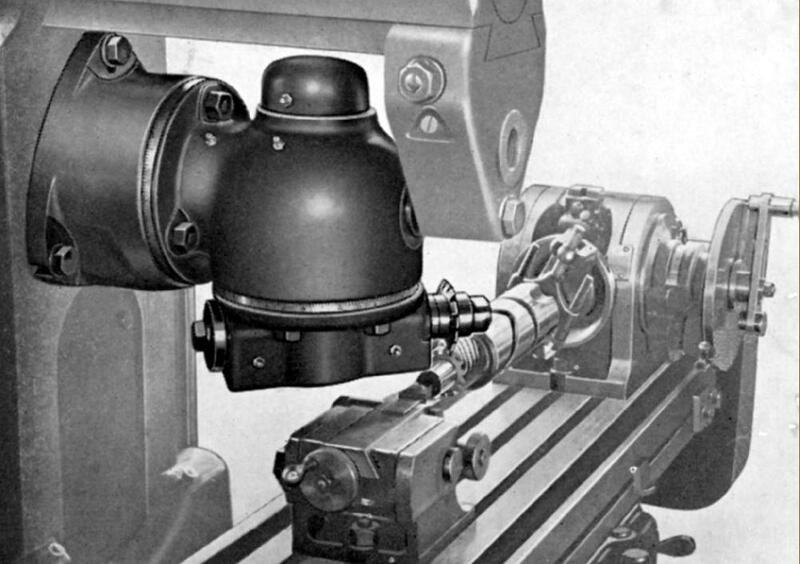 Cam-milling Attachment. Designed for the hand-feed milling of face cams up to 16" in diameter or cylindrical cams up to 8"